Seven years back, retirement was far more than a distant possibility in the horizon of Eric Van Der Loo's career. Hard-hit by the double dip recession and economic collapse just like millions of other citizens, he was upto knee-deep in debt. While many of his friends and colleagues declared bankrupting finding no hope and way to escape, Eric fought back. He started paying his bills to his creditors through a negotiated plan - and to everybody's utter astonishment, Eric purchased a condo last month with the cash he managed to save during those past years. Eric could easily go for a mortgage due to his elevated credit rating and grab a large house, however, he chose to stick to a much smaller condominium so that he could accelerate his saving for retirement, which is just a decade away. Today Eric is completely debt-free and enjoying an low-end and sustainable lifestyle. The feeling is full of awe! According to many financial advisors and researchers, debt puts a permanent stop to many Americans' retirement plans. Nowadays, a majority of baby-boomers are entering retirement with huge mortgage debt just like their parents. At the same time, these boomers are also accruing consumer, student and other kinds of debt, thus diminishing their capability to retire on their terms, or to retire at all. As per experienced financial planners, there are five types of debt that are extremely insidious. Check out what are they and the ways to obliterate them. Borrowing from yourself can backfire: If you take a loan against your 401(k) account, you should repay the entire balance without any delay in case you lose or quit your job, says David Jones, president of the Association of Independent Consumer Credit Counseling Agencies. As per the AICCCA, there has been a 27% rise in the number of retirees in the past two years who are seeking aid from their 401(k) accounts. But how do they repay it? Usually, the repayments come from either credit cards or emergency funds. Student debt: It's always tempting; rather some people believe it to be their moral duty to pay off the loans that their kids accumulate in college. However, credit counselors say otherwise. It's their loan, not yours and they should assume full responsibility to pay those off. It's you who should teach the lesson to them. Cosigning for an adult child: Though it might look like an investment, just avoid doing the mistake, advises Howard Dvorkin, founder of Consolidated Consumer Credit. But it's very hard to turn down a request to guarantee a business loan from a 20-something kid who is just thinking of a starting his/her own business after passing out. Nevertheless, this doesn't only drag down your credit score, but also eat away the emergency fund that you have kept after years of savings. Though the decision might seem a bit painful, never cosign a loan. And if you have already did one, try to buy out the loan. Alternatively, try to make the repayment path easier by paying down a majority of the amount and suggest the primary debtor to refinance the remaining balance, in order to pay it off effortlessly. Refurbish real estate debt: Do you think of partially redeeming the mortgage for your retirement home with a tax deduction? Just think again. Factors and situations change from time to time. You perhaps won't have the same dependent deductions. Often, state and other local taxes also affect the gross effect of a mortgage. The National Center for Policy Analysis offers a calculator that estimates the total financial effect of an interstate move and home purchase. Eradicate all other consumer debts: See what your grandparents say. Do they suggest going into retirement with consumer debt? "You can't go into retirement owing money. Start scaling your lifestyle to fit your retirement income," says Dvorkin. If you have an emergency fund, this is the perfect time to make use of it. Knock off all credit card, car loans and other unsecured debts with the amount. Before you retire, try living for a couple of months on your expected retirement income. If you are not sure what it will be, live on half of your current income. 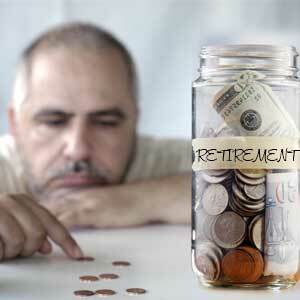 This way you would get habituated to the after-retirement frugal lifestyle and moreover, add up some savings.